Lounge is a very versatile, transformable sofa collection, consisting of a 3-seater sofa, a chaise lounge and a stool. All furniture of the Lounge collection can be converted with few easy steps into a comfortable bed. The here offered chaise longue Lounge is delivered with 1 armrest which can be assembled left or right. Together with the sofa bed Lounge 3-P a large corner sofa solution can be built. The delivery includes also 1 back cushion. With a sleeping area of 160x195cm the Softline daybed Lounge offers comfortable sleeping accommodation for up to 2 people. Both mattresses are not sewn together, so that during the day, the second mattress serves as the seat cushion, at night the mattress can be placed separately - for example in another room. Combined with sofa bed and ottoman offers the sofa collection of up to 5 (separate) beds, making them the ideal choice not only in the living room, but also in the youth room in the guest room or in the party room. As a simple, timeless, elegant furniture Lounge adapts easily to both classic and contemporary living environment. 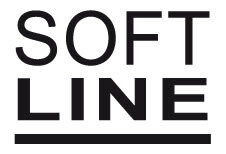 Softline shall be a leading provider of innovative, functional and high-quality furniture for private homes and public spaces worldwide. By using innovative constructions, new and eco-friendly materials and cooperating closely with internationally acclaimed designers, SOFTLINE creates a feeling of optimal value and quality and becomes the first choice when decorating homes and public spaces with functional designer furniture. Do you have a question about "Lounge (daybed)"? How can we contact you?